Welcome to day 69 of Palmer Watch—another day in which neither Palmer Luckey nor Facebook will tell me if the founder of Oculus VR even works at the social networking giant or not. It’s been 69 days since the 24-year-old made a statement after The Daily Beast revealed Luckey was helping fund a political organization called Nimble America, which wanted to prove “meme magic is real” by spreading anti-Hillary Clinton ads and memes online. It was a sticky situation for Facebook. While Mark Zuckerberg would defend Facebook board member Peter Thiel for his active role in Donald Trump’s campaign, the company was silent on Luckey. 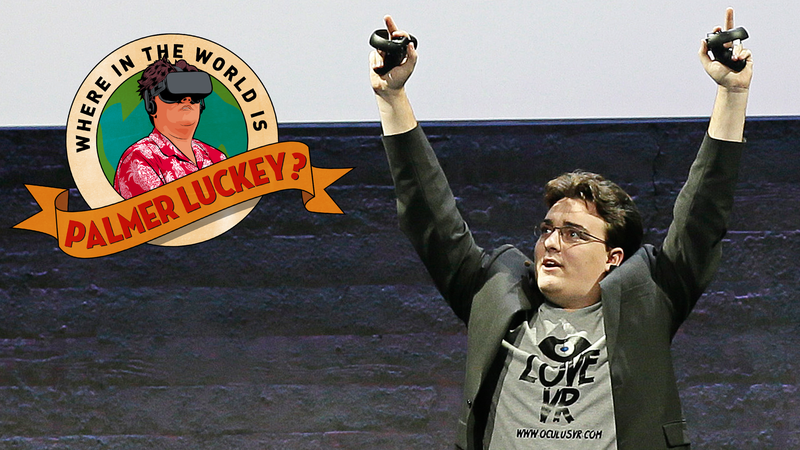 At the time, some third-party developers, which Facebook relies on to make content for the Oculus Rift, were outraged over Luckey’s involvement in Nimble America and threatened to boycott the platform as long as Luckey was involved. It appears Oculus isn’t having trouble getting other developers on board either. Its touch controllers launch next week, and the company has announced 50+ titles. If you know anything more, send an email to william.turton@gizmodo.com.